I want to do something with my hair that makes me look younger. Should I change the cut, colour or both? ...a fringe is also a great way to hide any lines in the forehead. Botox without the botox! Fringes give an existing haircut a whole new lease of life. A fringe, sweep or face framing layers are always an effective way to add a little movement and texture. If you invest in a good haircut you will really see the difference, just make sure you go to a good salon or stylist who understands exactly what you need. Our stylists always recommend bringing in pictures as a reference. What's the best way to grow out a cropped style? Growing out a cropped style is a great opportunity to experiment with texture, shape and length. Use Big Bold & Beautiful Dry Instant Volumising Spray to add volume and achieve a soft, tousled look. You can disguise the shape of the hair with accessories such as pins and grips or even get a side swept fringe to hide it if you reach a tricky in between stage. I have colour treated hair prone to breakage. How can I prevent this and stop the colour fading? After colouring or any chemical treatment, it's important to keep your hair in good condition by using a treatment product regularly. Try our Perfectly Perfecting Wonder Overnight Recovery, which helps to rehydrate your hair whilst you sleep. You should also incorporate a hair oil such as our Perfectly Perfecting Wonder Treatment Oil + into your routine, as it will bring shine back into the hair and keep your colour looking radiant between appointments. My fine hair is the bane of my life. What's the best way to build body? Should I be looking at investing in products or tools? Both! Great hair starts in the shower – using the correct shampoo and conditioner is the foundation to creating supersized volume. 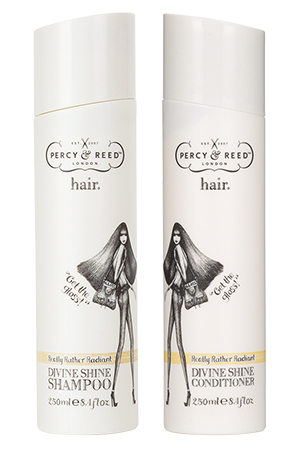 Try a volumising shampoo and conditioner such as Percy & Reed's Bountifully Bouncy Volumising Shampoo and Conditioner, which will deeply cleanse and nourish hair, whilst giving it body. Blow dry hair using a round brush and really focus the nozzle on the direction of the drying flow. A really great tip is to crimp the root area of the hair as this will swell the hair and give it incredible, long-lasting volume. 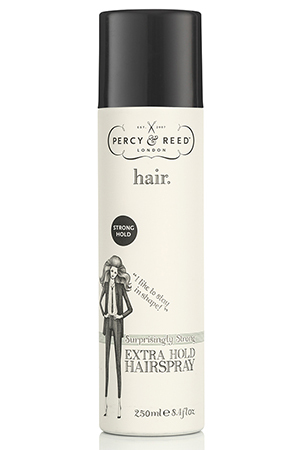 Spray sections of hair with Percy & Reed's Surprisingly Strong Extra Hold Hairspray before you crimp, then brush through the hair to add amazing volume and longevity. 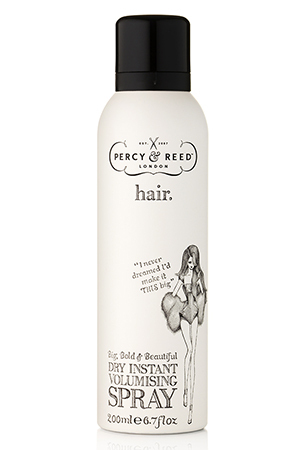 Finish with Percy & Reed's Big, Bold & Beautiful Dry Instant Volumising Spray for added body and bounce. I have frizz whatever the weather! How can I tame it? 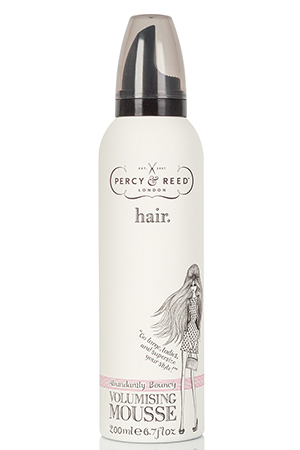 When hair is wet you can start to control frizz and lock out moisture. A great primer such as our Perfectly Perfecting Wonder Balm preps and primes your hair, sealing the cuticle in readiness for all styling products and techniques. The golden rules to combatting frizz are when drying hair – take your time to get the best results! You should always have the hot air blowing down the hair shaft from root to tip. This will seal the cuticle for perfectly smoothed, frizz-free, shiny hair. How can I get glamorous Hollywood-style waves that last? 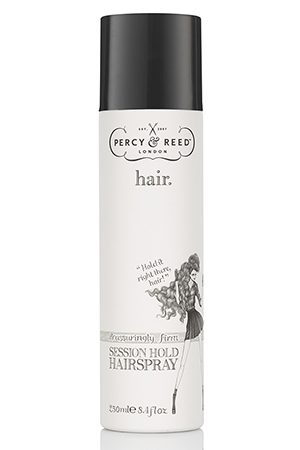 Invest in good hairspray such as Reassuringly Firm Session Hold Hairspray that can be used as a work-in hairspray whilst styling. First, when drying your hair, finish your blow-dry with a cold blast of air and then spray the hairspray to seal your style. Next, use a heated appliance to create waves and spray in sections to achieve a better result. If you want to give the hair a strong hold after styling, spray Surprisingly Strong Extra Hold Hairspray to keep your hair in shape. Is there a magic way to make my hair grow faster? There is no magic way, but a trim every 8-10 weeks is a good rule of thumb when you are looking to grow your hair. You want to make sure that you have healthy hair and that you do not let it get too dry or split, as you'll find that you have to have more cut off in the long run. 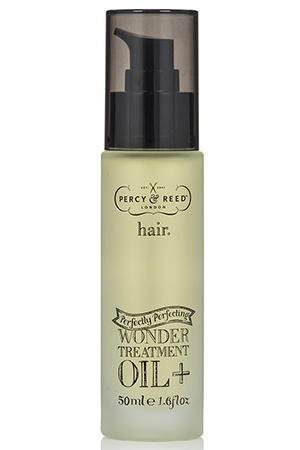 Use nourishing products such as Percy & Reeds Perfectly Perfecting Wonder Treatment Oil + and Perfectly Perfecting Wonder Overnight Recovery to add moisture to the hair. It is also really important to take care of your scalp, as a healthy scalp means healthy hair. I'd recommend products that are gentle and nourish your hair. Our Perfectly Perfecting Wonder Cleanse & Nourish is the gentlest way to cleanse and care for your scalp. My two daughters – I have a long list of reasons why! I would love to launch the product range and salons in America. What inspires your salons and products? We wanted to simplify things and make a range of professional performance products, which the consumer will find easy to use. We also wanted to strip out all the confusing 'industry jargon' and put the fun back into hair styling. Our products say what they do, and do what they say, so all women can enjoy 'the effortless way to seriously good hair'. In my opinion I'm too young to be grey but my hair tells a different story! What can I do? What five hair products, tools or treatments can't you live without? 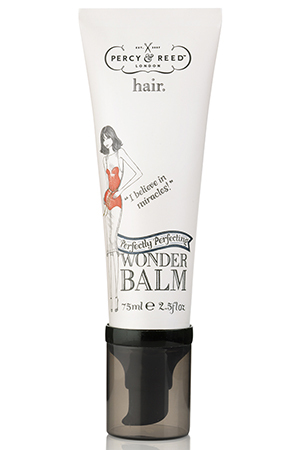 Perfectly Perfecting Wonder Balm Similar to applying a primer before your make-up, you would apply this to your hair as it seals the cuticle to create an even surface for your styling products to work better and last longer. It's a superstar product. 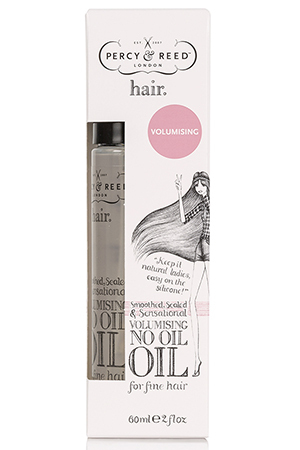 Our Smooth, Sealed & Sensational No Oil Oil's are also a must-have as they're brilliant for adding shine to the hair and preventing frizz, and help to achieve a smooth, sleek finish. They were one of the first products we launched from the range and have a cult following. Our Walk in the Rain Shine & Fragrance Mist is also a favourite as we are passionate about fragrance at Percy & Reed and wanted to create a product that not only makes your hair smell good, but look good too. The scent is a fresh, invigorating fragrance with scents of mint, rhubarb, geranium, hyacinth and verbena. Babyliss pro curling wand because it's the most versatile tool for creating a waves. I use it for styling more than any other tool. Babyliss 3Q Hairdryer as it's the perfect lightweight powerful hairdryer with the bonus of ionic technology, which gives incredible shine.